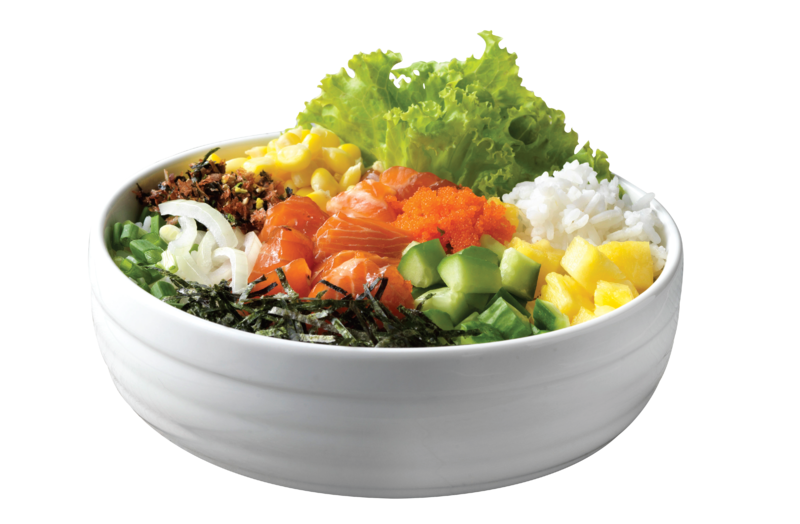 Power packed with many essential nutrients, Shoyu Salmon Bowl is (hands down) our all-time-favourite. Rich in Omega-3 fatty acids and protein, salmon is widely recognised for its weight loss function due to its capability in evoking a sense of fullness. This classic, savoury Hawaiian-Style Poke Bowl is lightly marinated with soy sauce to reserve the authentic taste of raw cured salmon. Topped with cucumbers, pineapples, corns, onions, furikake, green onions, seaweed flakes and fish roe, this combination is sure to tantalise your taste buds.